When Meghan Markle joined in holy matrimony with Prince Harry we couldn't wait to see what the American actress was going to bring to the royal style stakes. 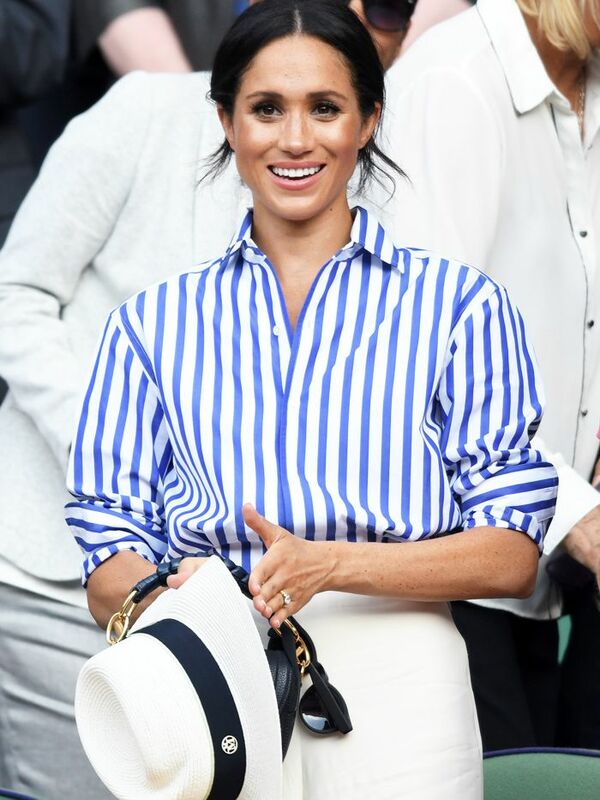 Needless to say, we haven't been disappointed—from high street accessories and elegant shirt dresses to regal two-pieces and tonal ensembles—it's been one headline-making look after another, and today saw another outfit join the Meghan Markle fashion hall of fame. Having been previously criticised for her somewhat vanilla fashion choices since becoming a royal, Meghan is sure to silence critics with this latest look. For Prince Louis' christening, the Duchess of Sussex has opted for an unusual olive-coloured Ralph Lauren dress with a matching hat and shoes. Despite offering the classic Markle formula of three-quarter length sleeves, nipped in waist and a boat neckline (clearly her wedding dress was a sign of things to come), the khaki hue is a departure from the nudes and whites she has championed so far and is an unusual choice for summer occasion dressing. To sit in harmony with her olive dress Meghan's accessories included a pair of Cartier Galanterie diamond earrings, some matching khaki suede pumps (suede is often Meghan's preference over leather), as well as a similarly-hued clutch bag and gloves. Wearing one colour is incredibly S/S 18 and can make any given ensemble look all the more elegant. Want in on the olive dress action? Scroll down to shop the look. Next up, see what Kate Middleton wore to Prince Louis's christening.